The Global Wave Conference (GWC) is an international event bringing together the world’s leading enviro-surf NGOs, academics, oceanographers, environmentalists, grassroots activists, surfers, politicians, the surf industry and coastal communities. The key focus of the conference is the protection of unique and irreplaceable surf spots worldwide. However, the event increasingly covers a broader range of marine conservation, health and sustainability themes connected to natural surfing heritage and the surf industry. As one of the world’s leading enviro-surf NGOs, with a 25 year track record of delivering marine conservation campaigns, Surfers Against Sewage led the fourth instalment of the Global Wave Conference in the UK in October 2015. Surfers Against Sewage delivered an exceptional conference agenda covering marine conservation, surf spot preservation, human health and wellbeing and sustainable surf industry leadership and reach out to the wider charity and business sector to learn from successful global campaigns examples. SAS aimed to raise the level of collaboration between global enviro-surf NGOs and increase the awareness and impact of our sector’s environmental campaigns, particularly on the threats from climate change, marine litter and coastal urbanisation and development. Our mission was simple – to create the most ambitious and impactful conference to date – one of the biggest surf, sustainability and environmental conferences in the world. Ways of intervening in the coastal environment without destroying the waves. The conference was divided into three sessions; Waves as a Natural Resource; Waves as an Economic, Sports and Social Resource and Sustainable Coastal Intervention. Speakers were invited from Spain, UK, France and the United States. They included experts in coastal biology, European law, Coastal Engineering and Oceanography, with representatives from SAS, Save The Waves and the Surfrider Foundation. Even though relatively limited, the first Global Wave Conference firmly planted the seeds for what is now a major international event held every two years. The conference took place from Sunday the 11th October to Wednesday the 14th October and was split between two venues. The first three days and the bulk of the event will be at the Bedruthan Steps Hotel Conference Room while the final day (Wednesday) was held in the Churchill Dining Room of the House of Commons, London. The Bedruthan Steps Hotel & Conference Venue is set in a natural playground with the beach just below and some amazing facilities at the hotel itself. 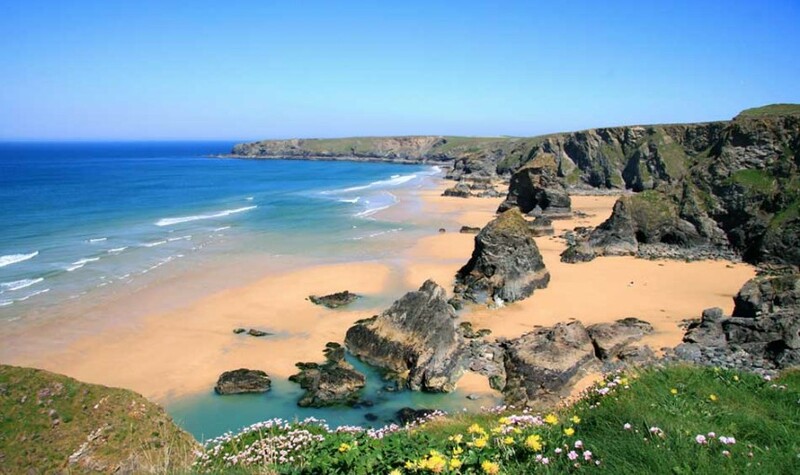 You can stroll along the foreshore, have a surf or two and walk the cliff path to Bedruthan Steps – one of the north coast’s most dramatic beauty spots. You’ll find the hotel between Padstow and Newquay with great access to all the wonderful activities both towns have to offer, but a world away from the bustle and crowds. If you love your food, we are at the heart of the gourmet coast that is North Cornwall with great access to Fifteen at Watergate Bay and Rick Stein’s Seafood Restaurant in Padstow. Nearby Bedruthan Steps offer views that are arguably some of the most impressive in Cornwall and this area now holds Dark Sky Status, making it a perfect stargazing spot. The Houses of Parliament, otherwise known as the Palace of Westminster, symbolises Great Britain. Its image adorns everything from souvenirs to sauce bottles. And the decisions made in its corridors of power have shaped Britain, past and present. The building that sits proudly on the banks of the Thames is the New Palace, built between 1840 and 1870. But within its walls is the Great Hall (or Westminster Hall), all that remains of the medieval Old Palace.